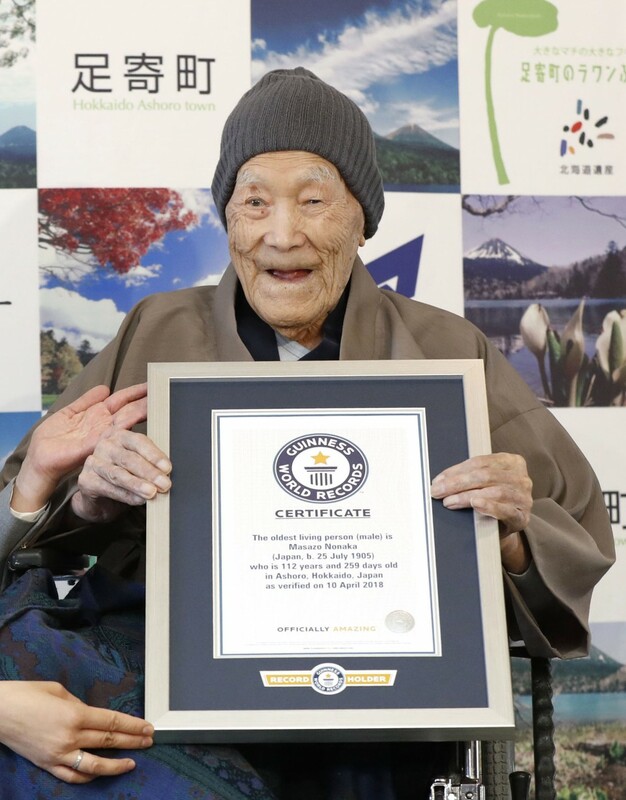 Masazo Nonaka, a 113-year-old from Japan who was recognized by Guinness World Records last year as the world's oldest living man, died at his home Sunday, his family said. Nonaka, who was born in the town of Ashoro in Hokkaido on July 25, 1905 -- the year Albert Einstein published his theory of relativity -- was found deceased by his family around 1:30 a.m., having gone to bed earlier. "We feel shocked at the loss of this big figure," his granddaughter Yuko said. "His last moments were calm. He passed away without causing our family any fuss at all." "I had many quarrels with him, but we had enjoyed being together," she said. "I'm filled with feelings of gratitude." Japan is one of the world's top countries for longevity. The record holder for the oldest man ever is also Japanese, Jiroemon Kimura, who died at the age of 116 years and 54 days on June 12, 2013, according to Guinness World Records.